Here we have a few phtos from the Sturgeon brothers and Mick on a lazy nitght out on Buckenderra arm. 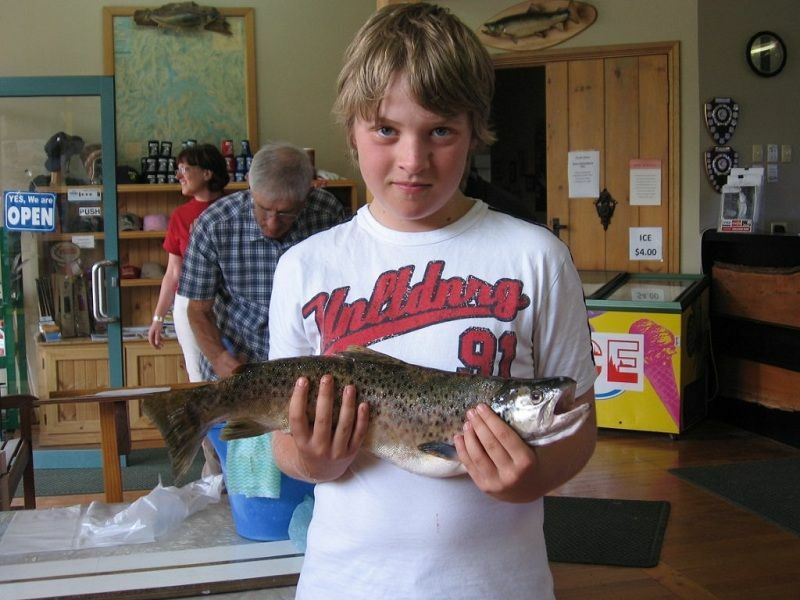 Here we have Sturgeon JR with a nice trout. 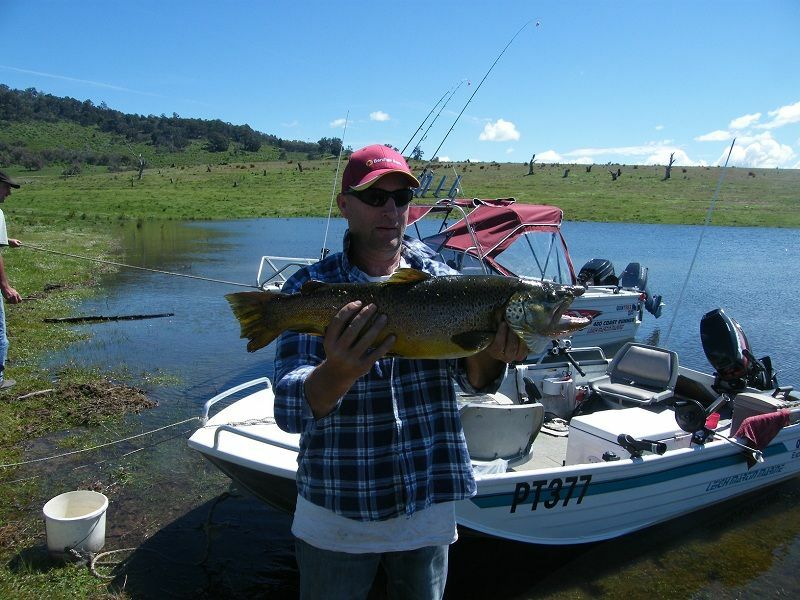 Here we have Sturgeon Senior with a lovely Eucumbene trout. And not to be out done by the boys, Mick with Brown. After calling in at the shop last Wednesday (17/11/11) to stock up and get the latest reports I headed off to Frying Pan with my mates Gunter and Bob. Tried bait fishing in the late afternoon and found the lake was on fire. Any type of Powerbait/ Gulp seemed to work. Gunter bagged out within 2 hours - all fish were much the same size. 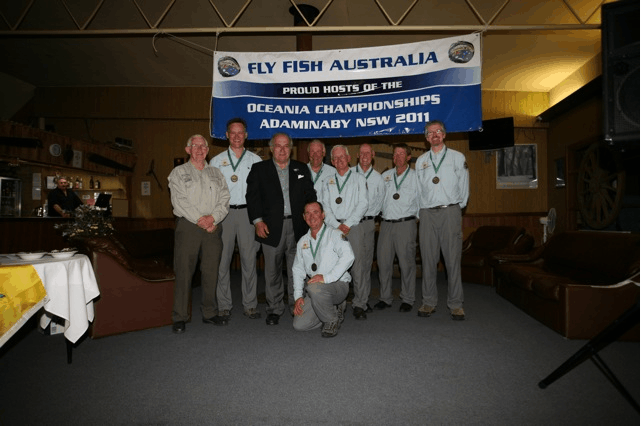 In what turned out to be one of the most one sided competitions in the history of the event, Australia took out the coveted trans Tasman Oceania Fly Fishing Championships from New Zealand and Sth Africa at Adaminaby on the weekend under the guidance of team captain Pat Kennedy. Team manager Danny Spelic described the victory as one of the best by an Australian team in recent history with Australia Green and Gold finishing in 1st and 2nd place respectively, and New Zealand 'Silver' finishing 3rd. 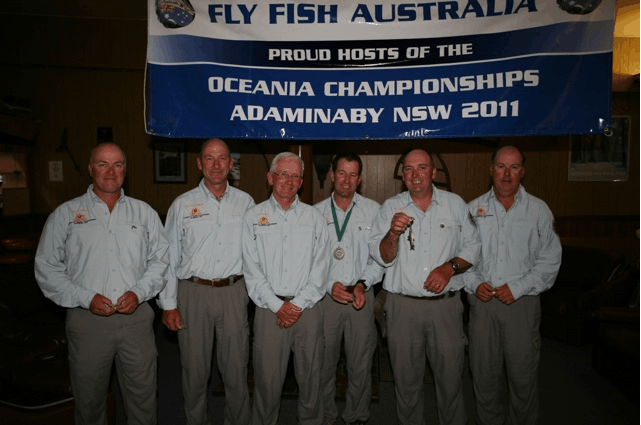 Of the top 10 anglers at the end of competition, 8 were Australians, with the remaining 2 Aussie team members finishing in 12th and 13th respectively. The total number of fish caught over the 2 and a half days of competition (5 x 3 hour sessions) was 376. The most fish caught by an angler in a single 3 hour session was 28 fish by Craig Coltman (Australia) on the Murrumbidgee River in the first session of the competition on Friday morning. 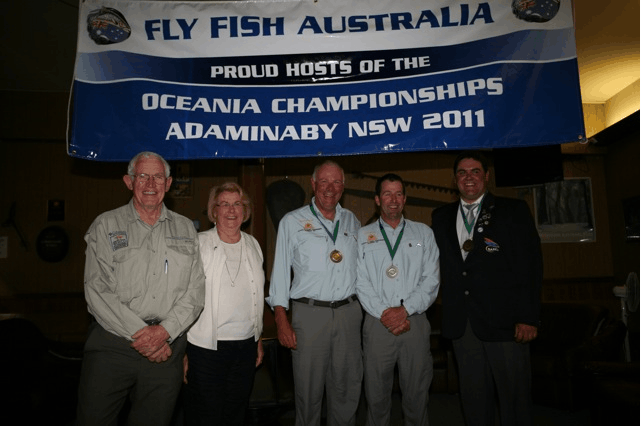 Special thanks to the Adaminaby Angling Club and the town of Adaminaby for their support, Bolaro Station for access to the Murrumbidgee, and to Fly Fish Australia for organising and hosting the event. I fished Eucumbene for the festival from the 28th to the 4th Oct with great weather and the lake looking good amongst the grass and thistles. Fished hard mostly north of the holiday village to middling bank. finding rainbows feeding deep and the browns in close amongst the thistles taking beetle, stick caddis and the odd yabby pattern mostly later in the day but some mornings. Fish also took to a small dry beetle pattern cast to them during the heat of the day. There was one morning and a few nights that were magic but for the rest they were tentative but struck hard if decided. I weighed in a brown and a rainbow each day and tallied 30+ for the week including these three which took very small basic patterns in close. Thanks for the reports guys! I hope this helps. Thanks to Buckenderra holiday village during the festival and for my mates stopping in for a fish or two; Slav, Wally, Rocket, Phil, Shane and Adrian. Congrats to Johnny Hertzog for taking out the biggest on Fly and Overall Winner! Thought you may be able to use this in your next report 6pounder caught on a rapala close to Bremar bay Caravan Park on a trip by Bene Brothers Fishing club where we caught around 50 fish over a four day period mainly on the troll with pink tassy devils and the occasional one of the bank on power bait and scrubbys with a few green cans thrown in for good measure. The lake has been performing really well regardless of the water releases and the storms that have passed through. Mudeyes are picking up and performing strongly against the Powerbait. Big weekend at Buckenderra with another fishing comp on, the wind and rain did not deter the fisherman. 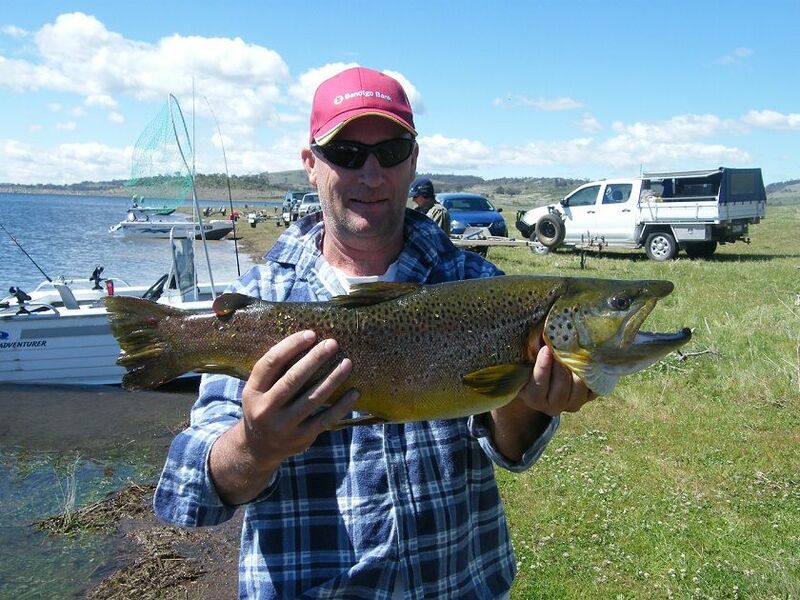 There largest fish was 2.11kg clean this was caught trolling on yellow wing Tassie devil the yellow wings are doing very well at the moment. Scrubworms have been doing there job with the largest over the week 1.24kg brown. The bank fishing has been the most popular I have to mention that the Gulp salmon eggs done very well over the weekend with everyone catching 4 or 5 rainbow all pan size. 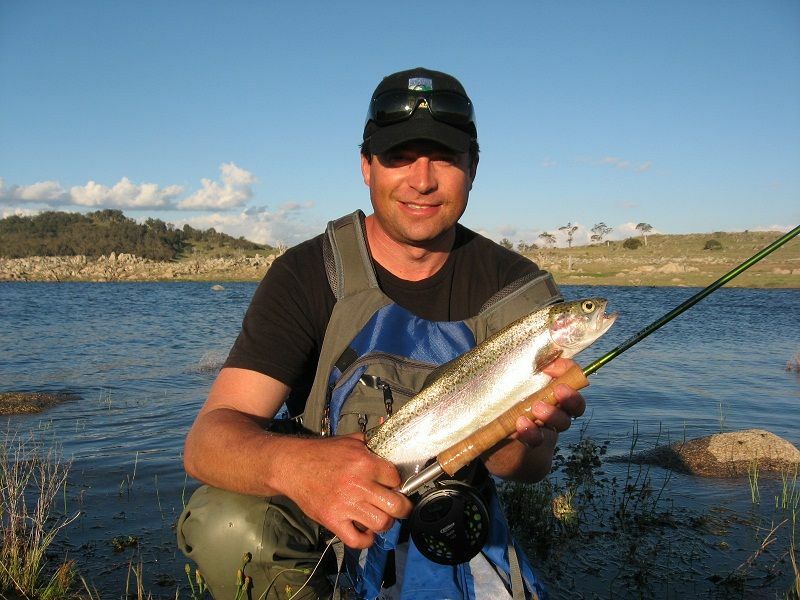 The fly fishing is starting with a nice rainbow caught with a Glen Innes grasshopper masquerading as a midge ball. Most over the weekend were around 40cm and looking very healthy. As the weather is warming up you can see the trout rising in the evenings so it is a great time to get up to Buckenderra. 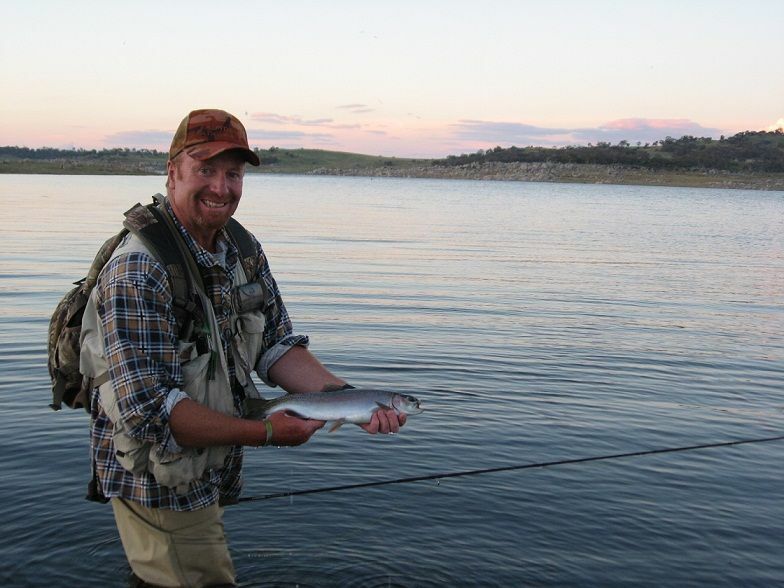 Great early morning start at Lake Eucumbene (5-10am) Sunday 13th November. 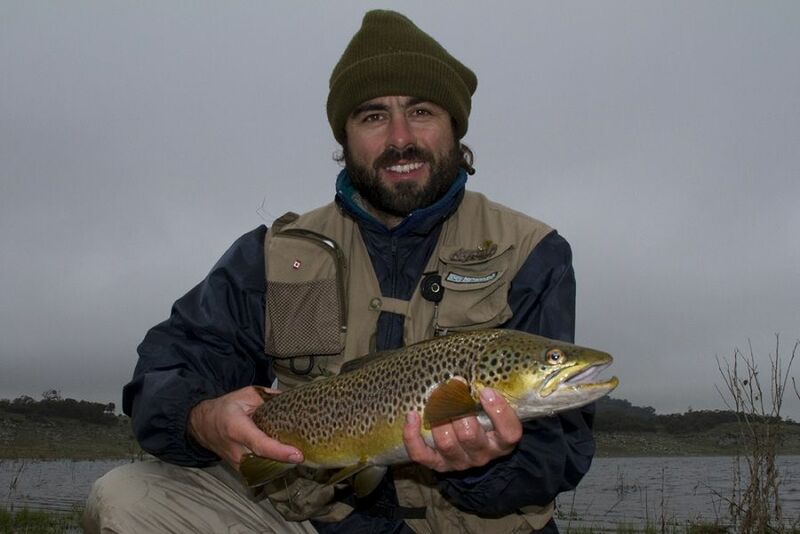 After a few medium rainbows, I hooked this 55cm brown (1.7kg after gutting and degilling) - perhaps a little surprised as this brown took a Powerbait and really took to the air when he spotted me! Hi guys – Heeded up to Jindy with a couple of mates on Saturday. Gave down rigging a go for the first time and ended up with a three nice browns between us. 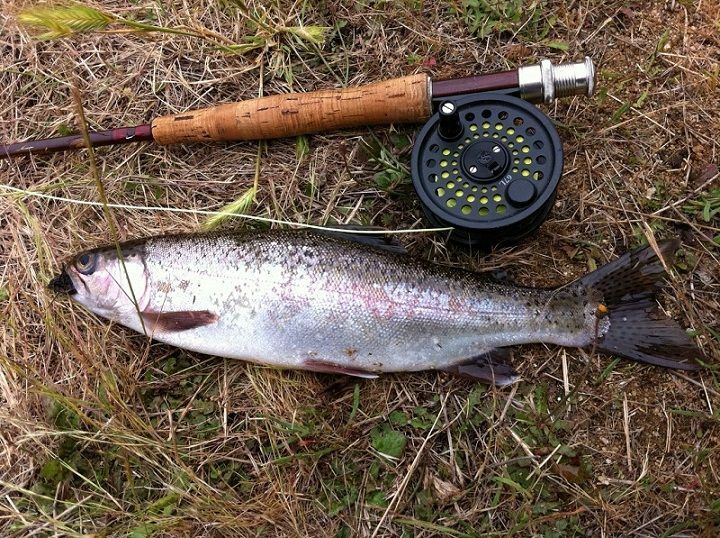 Fish were caught in about 8m of water around wast point. Best lure was a jointed rapala (J7) in Brown trout.